As the ruler of a country steeped in enchantment, King Trent was naturally curious about the source of its magic. 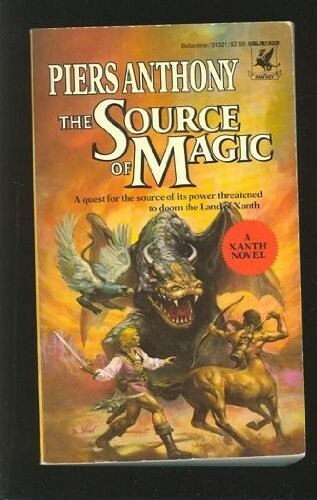 It made sense to order Bink, the only one of his subjects immune to supernatural harm, to undertake a quest to discover the wellspring of Xanth's uniqueness. From the beginning, Bink and his companions, Chester the centaur and Crombie, the soldier transformed into a griffin, were harried by an unseen enemy determined to thwart them. Even the power of the Good Magician Humfrey, together with Bink's protective talent, scarcely saved their lives. But the King had not expected Bink's next act--to destroy utterly the magic of Xanth!